This first benefit is an incredibly important one, as it allows your child to channel their energy, express their ideas and opinions, and develop their imagination. Drawing can be the creative outlet they need, as it gives them full authority on what the subject of the drawing is as well as what shapes, sizes, colors, and more are part of it. To draw a picture, you need to have an idea, plan it thoroughly, focus on your work, execute the plan, and problem solve along the way. 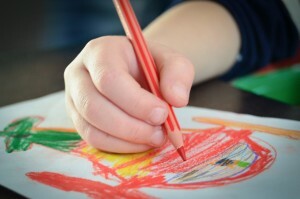 These mental skills are developed through drawing and will help your child throughout the rest of their life. The effort you require to hold a pencil correctly and to apply the right amount of pressure to it and the paper can be challenging to a child. As they draw, they work on and sharpen their fine-motor skills. Last but not least, the more your child draws, the better they will become at understanding visual stimuli. They will be more able to comprehend, assimilate, and respond to colors, shapes, and spatial arrangements. Enroll your child in tutoring in Fulshear TX if you'd like to help them reach their academic potential. Call The Tutoring Center, Fulshear TX at (281) 346-8120 to request a free diagnostic assessment.